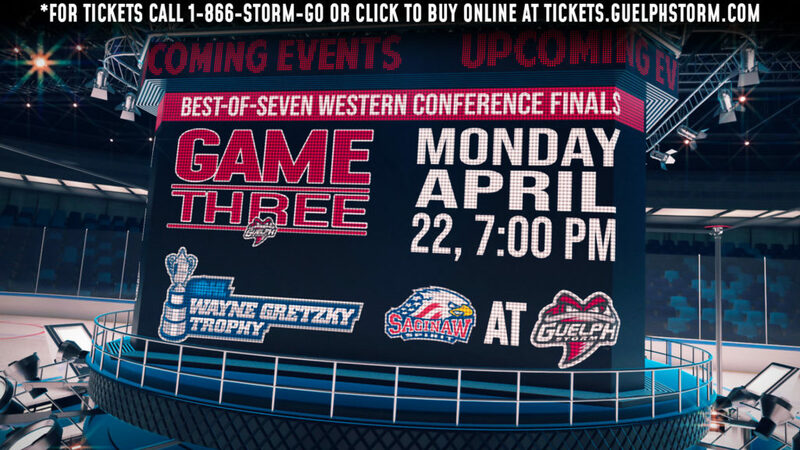 I’d be lying if I said I thought I’d be here writing about the Guelph Storm preparing for Game in their Western Conference semifinal against the London Knights. 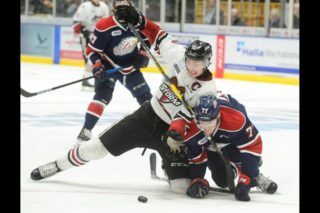 Just a week ago the Knights had used their speed to jump out to a commanding 3-0 lead in the series. The Storm looked confused, disheartened and even somewhat defeated. But they never let that competitive flame that burns in all elite athletes, extinguish completely. They battled hard in Game 4 to sneak out a 4-3 win on home ice. Then in London on Friday they played a very solid road game and were full value for a 3-1 victory. 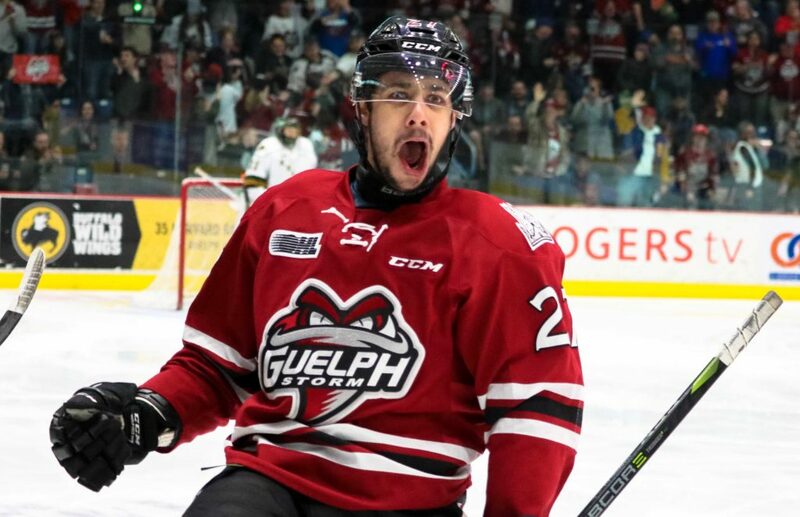 Saturday night they came home and played their best game of the series, playing a smothering defence (allowing the Knights just 12 shots through the first two periods) and generating a diversified offence that saw goals from five different players in a 5-3 victory. So here we are, getting ready for a very unanticipated Game 7 tonight in London at 7 p.m.. 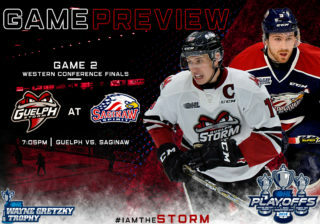 The Storm have the momentum but I’m not sure how much of an advantage that gives them in the deciding game. 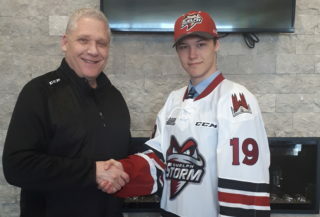 Veteran Storm defenceman Sean Durzi said he and his teammates never gave up hope and looked to create small goals to get back into the series.